Fog cannons were designed in 1974, and launched in 1993. Sometimes it is called as smoke screen or security fog; please do not confuse it with the smoke. The contents are simple, and need little knowledge of chemistry to understand the working mechanism. The Glycol or glycerin us mixed with distilled water, vaporized and then condensed in free air to produce white fog. The fog particle size is 0.2-2.0 Micrometer hence takes time to clear so acts as a deterrent. All fog canons should comply with EN50131-8 of European Union and the security fog should be harmless mixture of water and food grade glycol, meaning it meets UK, European and International air quality standards, otherwise it can prove fatal or choke the breathe. Practically & legally, it should be a deterrent not a mantrap. Imagine an intruder tries to enter the gold shop or bank, and fog cannon activates, then it will be like mantrap for people inside the premises and can prove fatal with or without other eventualities. The fog chemicals must be safe to surfaces and non hazardous for individuals. The fog Class-leading particle size should not exceed 0.2 microns – usually tested and confirmed by the Atomic energy authority. Now a days we can integrate these cannons with Intrusion Detection Systems (IDS) & Video Surveillance Systems using simple integration methods, as not much circuity is involved. 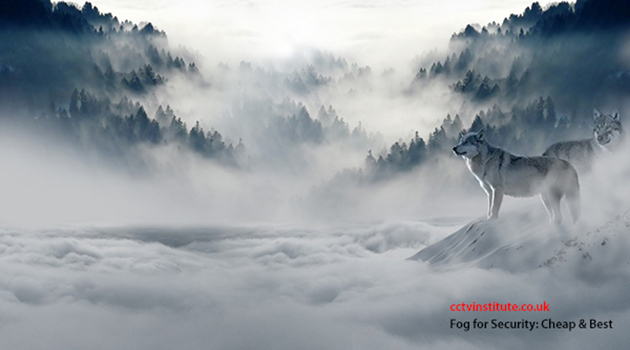 Recently mobile apps have been developed to activate fog on basis of intrusion detection. Finally, these devices should act as deterrent not causing any panic for general public. It is more about despite the fact, most of the intrusion deterrents are about psychology, Fog cannons are widely used in United Kingdom, New Zealand etc. The cost of fog cannons are very much affordable, and can be used at locations that are vulnerable like ATM Machines, Precious metal shops, or unattended homes.